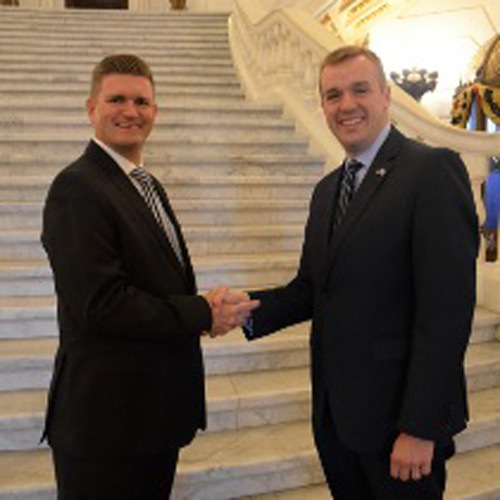 HARRISBURG – Rep. Bryan Cutler (R-Peach Bottom) was chosen by his colleagues as the “Best Legislator to Work With” representing the Republican Party in the Best of the Best awards program offered by Pennsylvania Legislative Services (PLS). “I work hard to continually prioritize the issues of the Commonwealth over partisan politics. I know the relationships I cultivated have served the residents of the 100th District and all of Pennsylvania well as they have enabled me to advance important bills,” Cutler said. This year, Cutler and Dan Miller (D-Allegheny) drafted legislation to encourage the employment of people with disabilities at competitive wages by Commonwealth employers. He also worked with Rep. Brandon Neuman (D-Washington) to improve government transparency by enabling the Ethics Commission to more fully address lobbying violations. PLS, established in 2001, is an online legislative research, tracking, media and analysis service. PLS provides subscribers – including state and local governments, educational institutions, health systems, state agencies, and Pennsylvania’s courts – with more news and information than any other source. For more information on Cutler and his legislative priorities, please visit RepCutler.com or Facebook.com/RepBryanCutler. Rep. Bryan Cutler (R-Peach Bottom) and Sen. John Yudichak (D-14) were chosen as the “Best Legislator to Work With” from their respective political parties by their colleagues in an awards program offered by Pennsylvania Legislative Services.